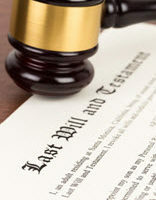 Can I Contest a Will Before Someone Dies? For many people, making a will is not a one-time deal. Throughout your life you may create, revise, or revoke several different wills as your circumstances change. Of course, whenever you do make changes to your will, some family members (or other interested persons) may object. But is there anything they can do about it, at least while you’re still alive? Put another way, can someone contest your will before you die? The answer to this is “no.” Even if a person has good cause to challenge your will, they must wait until after you die and the document is filed as part of Florida’s probate process. But let’s say you’re a spouse, child, or family member who has strong reason to believe your loved one’s will is invalid. What steps can you take? If the relative has died, the person who has custody of the will must typically file it with the clerk of the circuit court in the Florida county where the deceased relative lived. The court then appoints a personal representative for the estate and directs that individual to publish a “Notice of Administration,” essentially informing the public an estate has been opened. The will was not properly executed, i.e. it was not signed by the deceased in the presence of at least two witnesses, who also signed the will. The deceased lacked the mental capacity to make the will when he signed it. Of course, if you suspect that your still-living relative may lack mental capacity, or is subject to fraud or undue influence, there are steps you can take to protect them while they are still alive. First, you should carefully document any evidence that something is not right. Second, you should speak with a Fort Myers elder abuse attorney who can advise you on the appropriate legal steps to take, which may include seeking a court-appointed guardianship for the affected relative. Contact the Kuhn Law Firm, P.A., today at 239-333-4549, if you need advice or assistance regarding any elder abuse or estate planning matter. We offer a free confidential consultation, so there is no obligation to speak with us about your situation.